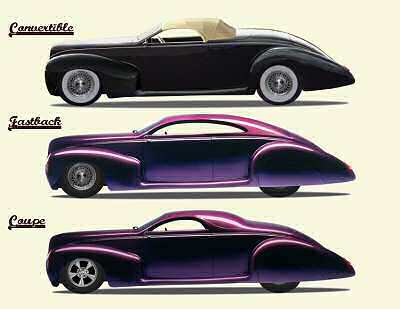 Z Series Zephyr Coupe and Convertible-- A NEW Classic Car! 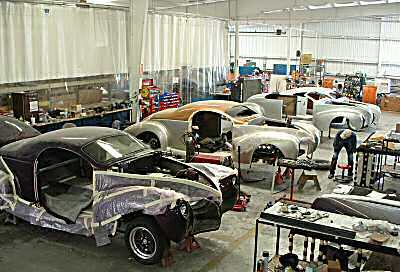 SPEEDSTER MOTORCARS, Z-Series Coupe and Convertible "Turnkeys"
In January of 2005, Deco Rides entered into a partnership with Speedster Motorcars of Clearwater, FL. 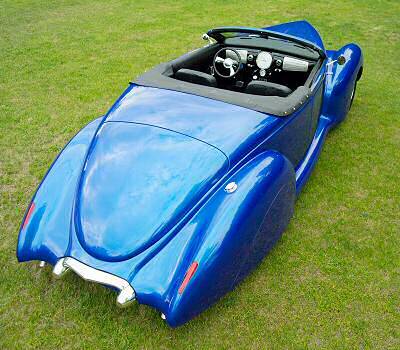 Speedster now offers “turnkey” Zephyr coupes an convertibles using DECO RIDES’ molds. Contact us for current pricing. The considerable 125-inch wheelbase, modern P225/50R16 radial tires, tuned coil over shock absorbers and respectable 3,400 lb. curb weight combine to provide a very smooth ride. It is built on a proven rectangular steel chassis with sturdy X-member. The independent front suspension with rack n' pinion steering has been refined and re-engineered by SPEEDSTER MOTORCARS over the years. The result is a highway safe, respectable handling motorcar. Power disc brakes all around assure reliable stopping. Equipped with power windows, power brakes and power steering, the leather interior and classic gauges combine to deliver an elegant package that will turn heads wherever it goes. 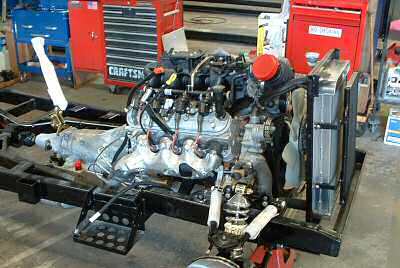 The engine is a brand new General Motors Vortec 5.3L V-8 with 270 horsepower. An optional supercharger is available. Transmission is a brand new GM 4L60E 4-sped automatic. The convertible comes with a folding fabric top that hides away completely when in the lowered position. The alloy wheels are from American Racing. MANUFACTURING FACILITY: The modern 30,000 square foot factory at 10990 49th Street North in Clearwater, FL has 30 craftsmen there by 8:00 AM each workday totally dedicated to producing top quality cars. The adjacent photos only shows a piece of the SPEEDSTER MOTORCARS facility. NOTE: The open rear wheelwell fender skirt shown on Convertible (above) is ONLY available as an option when ordering Z-series Zephyr through DECO RIDES. 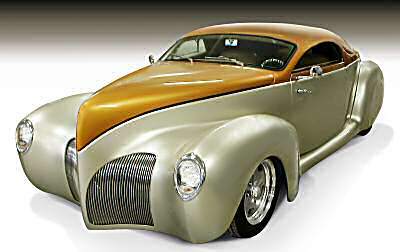 The fastback body style is tentatively scheduled to be available in late summer 2005. DELIVERY TIME: While it will sometimes be shorter or longer, SPEEDSTER MOTORCARS is targeting an amazingly quick 5-6 month delivery for cars that are built to order (i.e. paint color, upholstery color, etc. picked by the customer). Hopefully there will be a few Z-Series coupes and convertibles on the showroom floor in Clearwater or in one of their dealerships around the country, which means immediate delivery. The $69,950 and up price is fob Clearwater, FL. You can either go there and drive your car home, even if you're from half way across the country, or you can have the car shipped to you, which is an additional cost. Here are MORE PHOTOS of the Z-Series Zephyr.